My preschooler and I are having fun learning about birds this week. 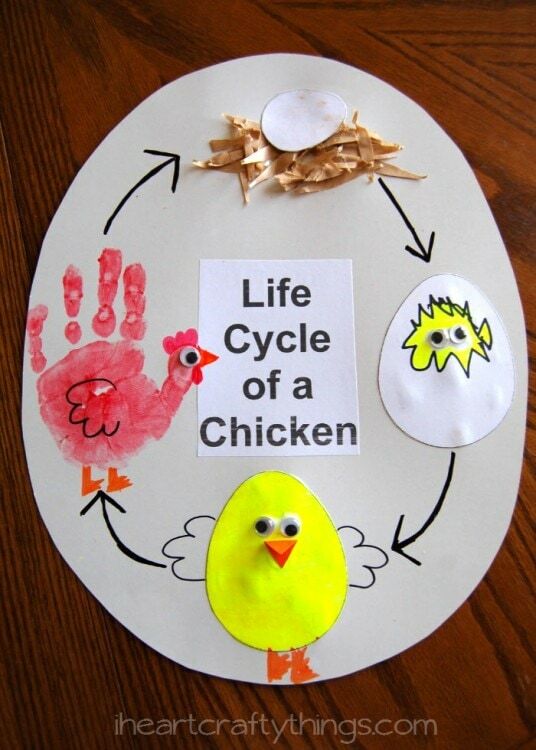 We started by reading some books about birds and we made this “Life Cycle of a Chicken” craft. I saw the idea in The Mailbox Magazine a while back and I just love how it turned out. Find a list of the books we read to go along with this activity at the bottom of this post. 1. Start by cutting an egg shape out of a piece of poster board. Then I printed out a little rectangle label from the computer that said, “Life Cycle of a Chicken” and we glued it to the center. You can also just write Life Cycle of a Chicken with your black marker in the center of the poster. 2. At the top of the egg we talked about how chickens start out as an egg. 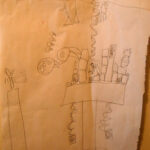 Then we made a little nest by putting glue all over and adding shredded pieces of brown paper. 3. 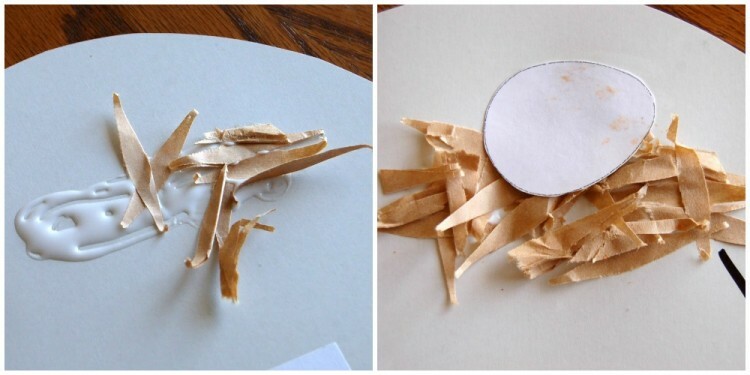 After the nest was complete, I cut a small oval shape out of paper and my son glued it into the nest. If preschoolers are able to cut themselves, have them do the cutting. 4. Then we discussed how the Mommy Chicken sits on her eggs to keep them at the right temperature, while the birds grow inside the egg. When they are all grown they begin to hatch out of the egg. I cut a larger egg out of paper and my son glued it to the poster board. Then he drew a jagged edge circle on the egg to represent the egg hatching. 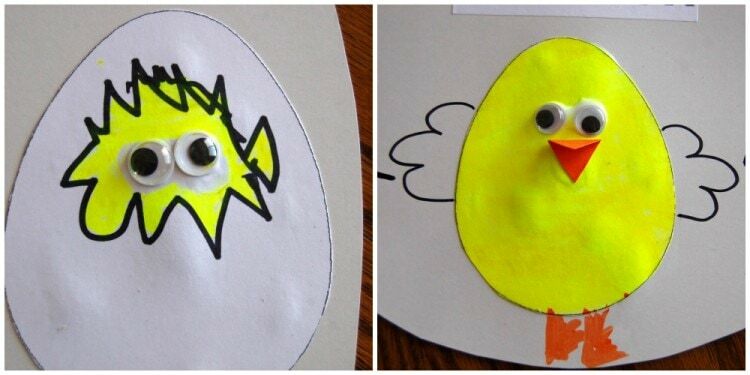 My son colored the inside yellow and he added googly eyes to represent the chick inside. ﻿5. To keep it simple, I also used another oval egg shape to make our baby chick. My son colored it yellow and glued it on the poster board. Then he added the googly eyes, and a small orange diamond, folded in half for the beak. My son colored on the feet with a marker and I added the wings with a black marker. 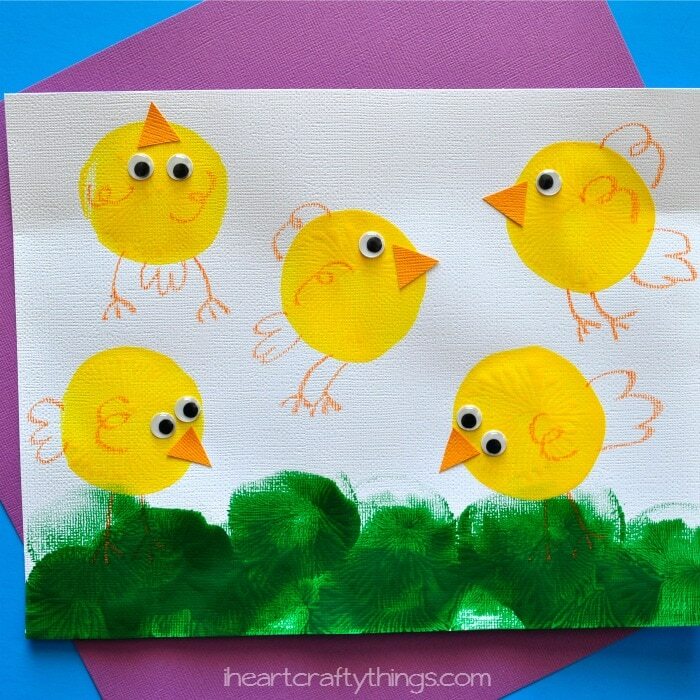 As an alternative you could also make a handprint chick with yellow paint. 6. Next, we made the grown chicken. 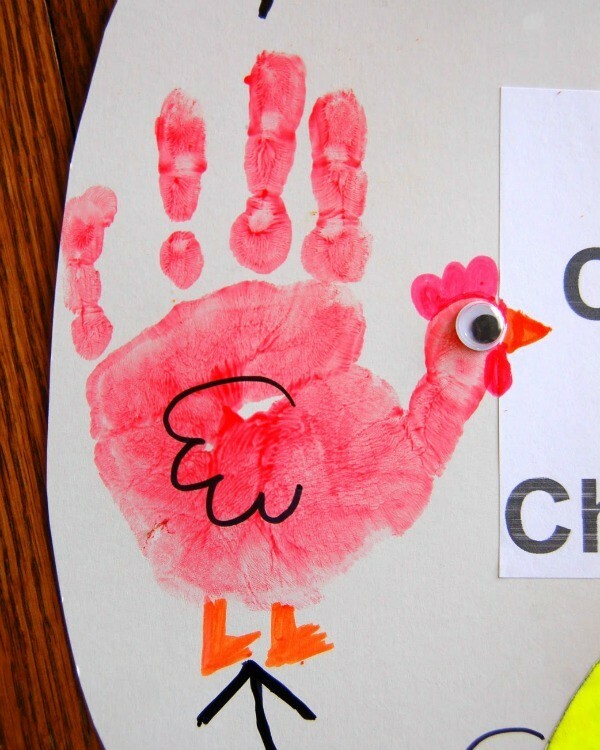 I covered my son’s hand with our red tempera paint and he placed his hand on the poster board to make a handprint. After the paint was completely dry, my son glued on a googly eye and drew on the feet, beak and waddle. I added the outline of the wing with black marker. 7. To complete our chart, I simply drew arrows between each stage to show that it is an endless cycle and we talked about each stage one more time. It was such a fun project! 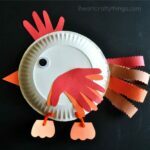 What a fun craft, and that handprint chicken is adorable! We got baby chicks this year, and they have just started laying eggs! No roosters, so no more chicks on the way, just lots of eggs eggs eggs! Stumbled upon your blog. Love it! We have much in common. Will be telling my friends. Wow! Love it! All the stages of the life cycle are adorable! Love the cracking egg! This is just adorable…so fun and so educational too. 🙂 Pinning! That is so adorable- the life stages of a chick? I have to say that I have never come across a craft like this! Great work and Thank you for sharing this on The Sunday Showcase. ADORABLE craft! Love love love it! Every stage of it! This is such a cute project! I love it and will have to try it with my kids one day soon. I'm so glad I found your site. You have wonderful ideas. I LOVE your blog. I'm a new follower and am super pumped to use your ideas in my kindergarten class. 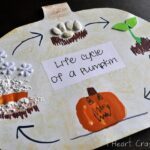 Especially this little chick life cycle…totally goes along with my chick hatching journal and other activities I posted. Thank you! I have a Blog Hop on my blog right now that is all about eggs and chicks. I would like to invite you to link your post to my Eggs and Chicks ABC’S Blog Hop. The ABC’S stands for Activities, Books, Crafts, and Snacks which are all things I share on my site for parents of young children. I think your post would fit right in with several areas, don’t you? I hope you will stop by to visit and link up with us! This is adorable! I would for you to link it to Read.Explore.Learn on Friday! I love this craft! I'm featuring it today on my Sharing Saturday post–all about Birds! I'm going to do this with my daughter tomorrow we've talked about the life cycle of chickens while reading books about chicks. I wish I had found this craft at the time but it still works out nicely because we are actually going to an agriculture center in 2 days where there will be chicks. So excited ! What a great idea…pinning it and using it with my homeschooled kids. Thanks a bunch!